The next trip is either Haines or Hokkaido, but neither comes for free. 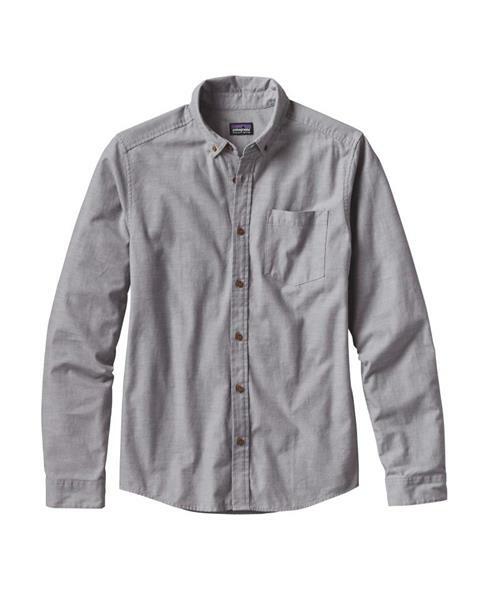 Made of a 4.9-oz 100% organic cotton garment-washed twill weave, Patagonia's Long-Sleeved Bluffside Shirt has a subtle, slim-fitting profile for the days at work that pay the way. Softly textured with a button-down collar and clean-finish stitch detailing throughout, it offers trusty comfort for long meetings with the boss and even longer afternoons at the drafting desk. Durable and travel-tested for the wear and tear of train stations and departure terminals, it also features a passport-compatible left-chest patch pocket and traditional shirttail hem.